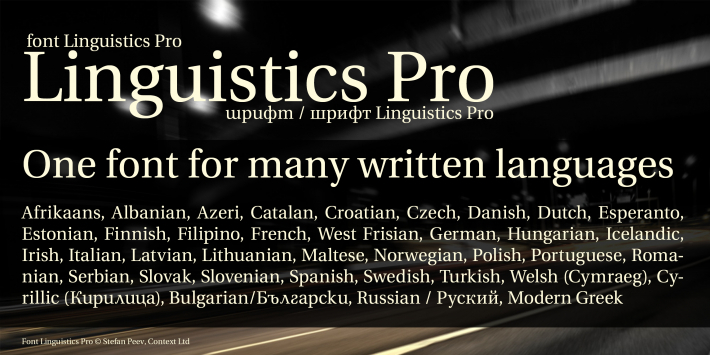 Linguistics Pro is a part of the project LOCAL FONTS for development of free-to-use fonts with the modern Bulgarian letterform model in the Cyrillic Unicode range. The project as a whole is based on well-known fonts published under licenses which permit modifications and derivative works. The Linguistics Pro font family is based on the Utopia Nova font family, issued by Andreas Nolda.